Find an electric bike you can afford via this new website. 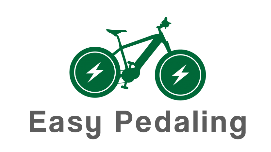 Having just launched their website, Easy Pedaling is now an online resource for individuals interested in personal transportation of the electric variety. Started by individuals who like to tinker with electronics, Easy Pedaling provides information to readers of electric bikes that can be purchased on a budget, or even build your own with the resource offered at the site. Electric transportation is an excellent way to travel and with the help of Easy Pedaling, you can find an option for your travel needs. With so many ebike’s on the market today, it can be difficult to differentiate which bikes offer the best features and which will give you the most bang for your buck. Learning more about what people are buying, what features electric bike owners are happy with, will help you to make the right decision for your next purchase. At Easy Pedaling, reviews and articles are provided so that individuals interested in personal electric transportation can find the right solution for their traveling needs. Review of ebike kits make it easier for you to find the right bike that suits your specific wants and desires. Reading the breakdown of what a bike provides, makes it easy for riders to find a solution that works based on features offered and price point. It is also important for ebike riders to protect yourself properly. Research articles are listed at Easy Pedaling, providing insight on helmet needs so you can stay safe while out on the roadways. The plethora of data at Easy Pedaling is perfect for new ebike enthusiasts as well as veteran riders. About Easy Pedaling: Having a solid interest in electric transportation, Easy Pedaling will provide enthusiasts with information regarding electric bikes, helping those interested in personal transportation to find the right solution. Reviews, how-to’s and guides are provided at Easypedaling.com, providing a go-to resource for all electric transportation.